Starting Location: ALL INDIAN PORT. - Provide Ship Chandlering services/ vessel husbandry/ container leasing. - Supplier of fresh/frozen/dry stores, deck & engine stores, safety & fire fighting equipments, medical services, chemicals & oils, navigation equipments, spare parts. Ship Chandlers/Bunker/Provison Bonds/Fresh Water Supply. 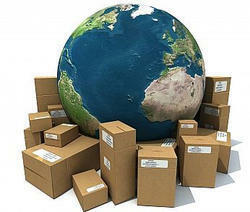 Customers trust our services like Shipping , International Shipping , Freight Shipping and other related services. We are a well known service provider in the field of International Shipping and have a huge base of satisfied customers who we have built over a period of time by our industry leading quality and unmatched turn around times. We supply fresh water to sea going vessels in the limit of Mumbai port / JNPT port. We can cater to emergency supply of fresh water in large quantity in shortest possible time. OSV is a ship specially designed to supply offshore oil platforms. These ships range from 65 to 350 feet in length and accomplish a variety of tasks. The primary function for most of these vessels is transportation of goods and personnel to and from the offshore exploration activities. - Ship Stores Suppliers (Engines/ Decks/ Electrical/ Marine Paints/ Lubricants) at all Indian Ports. A.S.Shipping has been serving as general agents for Hartmann group for vessels in the Port of Kolkata for Kolkata-Port Klang-Singapore & Kolkata-Singapore services. Our ship supplies & marine equipment are made to conform to IMPA technical specifications as they reduce costs, are easy to maintain and are available in most ports worldwide. -7 round the clock and as per the clients requirement we cater to their needs. Your business can’t afford to stand still and neither can your vessels. That’s why GAC pioneered ship supply services in the late 1970s to keep your vessels and cargo moving.